As a kid I never remember doing ‘overnight’ camping as in the sense of pitching a tent, taking your provisions, building a campfire. You get the idea. Oh, yes, there were a few day camps I went to like Girl Scouts, and, yep, we had s’mores. Then there were the learning camps, music camp, as I remember. But that isn’t what real camping’s all about. 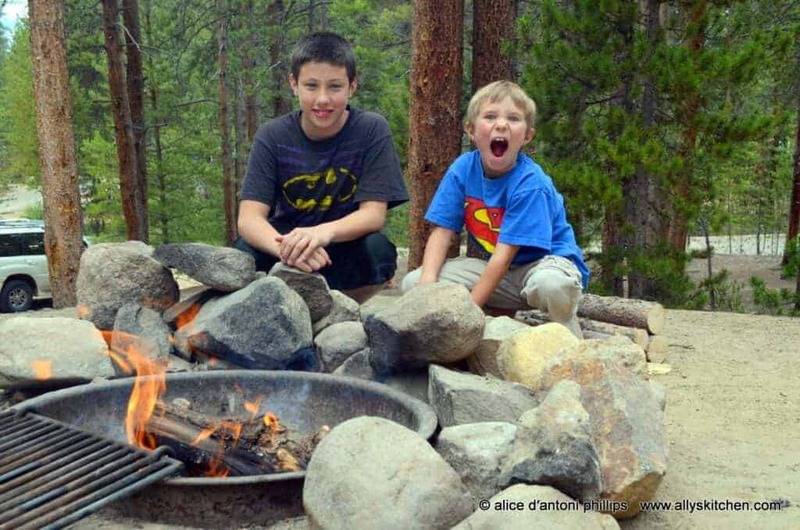 I think camping is something that you can make fun for kids even if you don’t leave your back yard! It’s a way to get them ‘started’ with the idea of camping! Even having their own little tents! 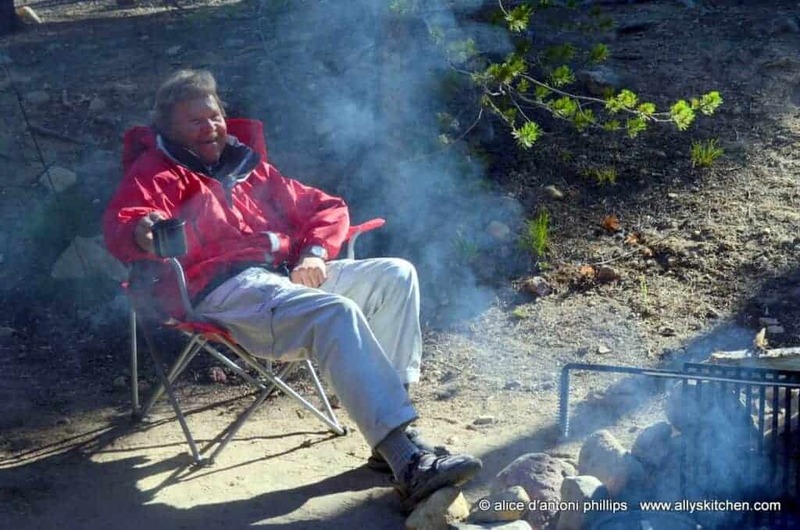 Camping is one of the adventures that I’ve learned about and immersed myself in since I turned 50. So I’m like a kid with it. In the past years, Ben and I and our friends have done some seriously magnificent camping trips. From primitive, as in no potable water or toilets, to more ‘luxurious’ camping with those two necessities! Both types are what we call ‘car’ camping. And, believe me, the car is loaded to the brim for a camping trip even if it’s just for two nights! 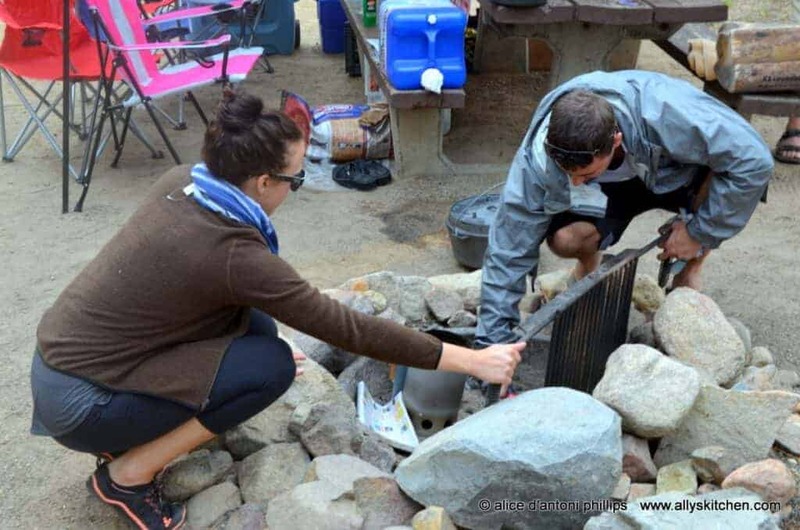 So what makes camping fun? What’s to love about camping? Well, rather than talk a lot, let me share some of my pithy thoughts via words and illustrate with pictures, which are worth thousands of words! If you’re a camper, then you’ll get this stuff. If you’re not a camper, then give it a whirl. The new gear and gizmos out there now in stores makes even sleeping in a tent like being at home on a comfy mattress! You’re no where near modern conveniences. Even the walking is Mother Nature’s plan. Stones, trails, mud, water, streams, puddles. Whatever. It doesn’t matter if you’re dirty. That’s half the fun! Your inner child gloriously resurfaces! There’s delegation of duties and making the fire bed ready for some flames takes lots of skill and technique. Nothing like working together to get the job done. Only when you’re camping does this often happen! 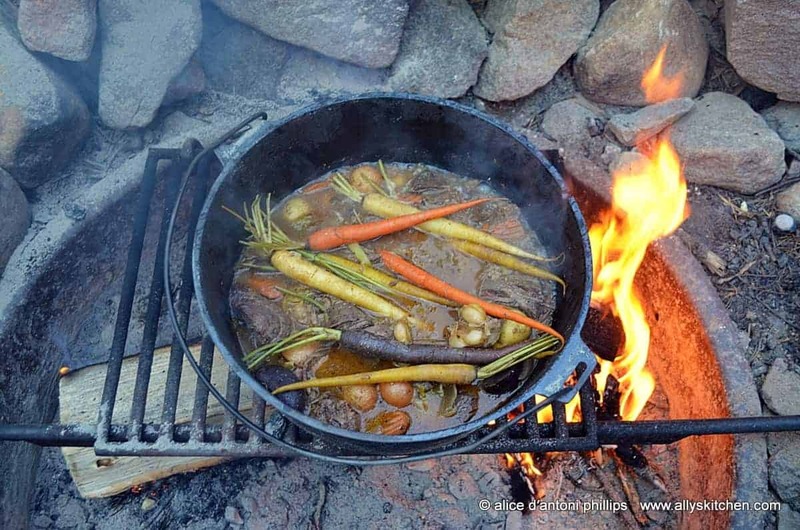 There’s no substitution for food cooked on a campfire or camp stove! 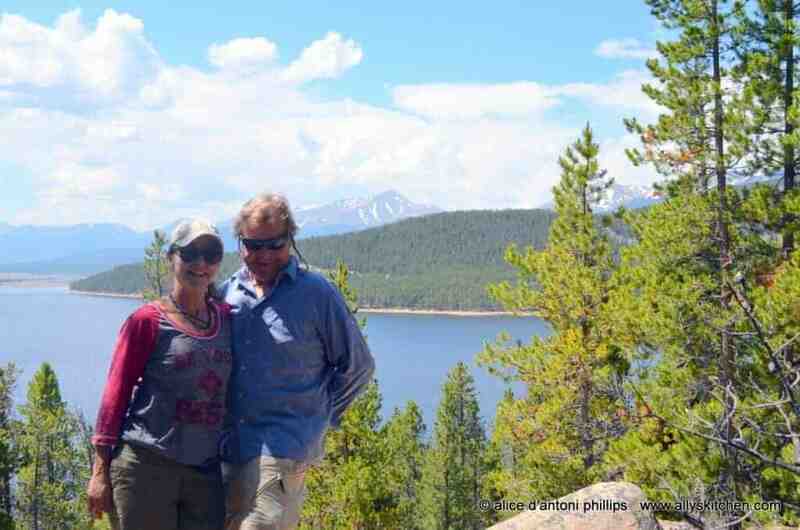 It’s just beyond boholicious to be eating in the outdoors, in the wilderness, at nearly 11,000 feet elevation! Within a few hours you’ve met your neighbors and are sharing. Batman and Superman, no less! Our littl’ fishermen who brought us fresh trout! 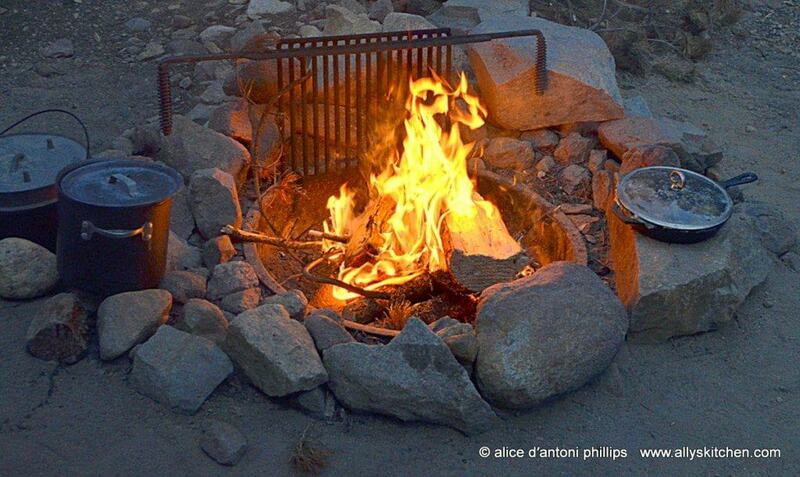 There’s something about sitting around a campfire that brings out the history, mystery and layers of life. It’s magical and mystical. The best elixir for getting to know one another. Campers are, as a rule, generous kind and good folks. Like our neighbors who shared their fresh brown and rainbow trout catch. These became our appetizers before the night’s dinner! 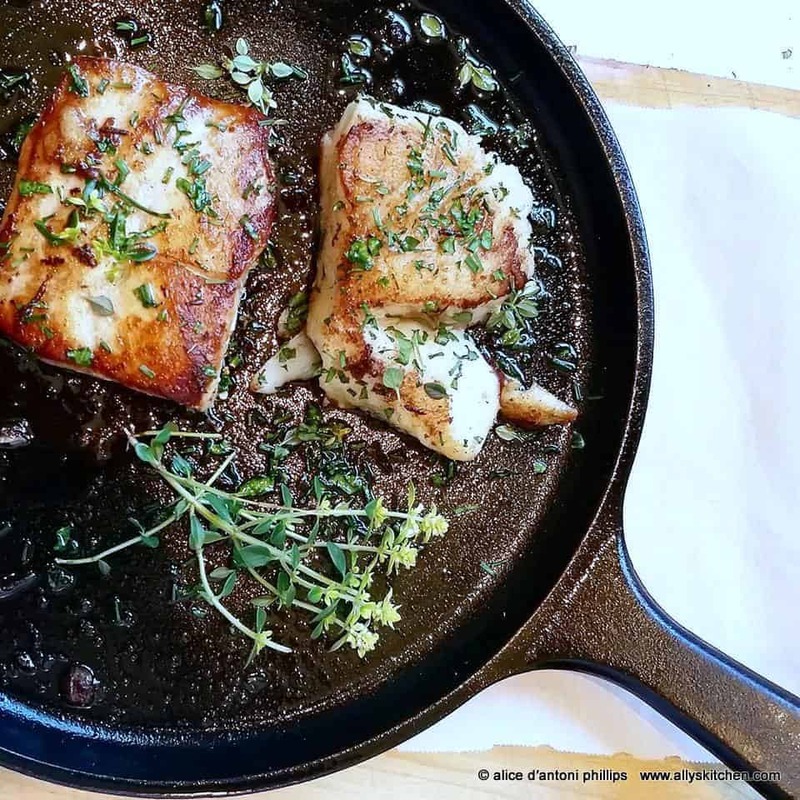 Every meal is a culinary adventure. 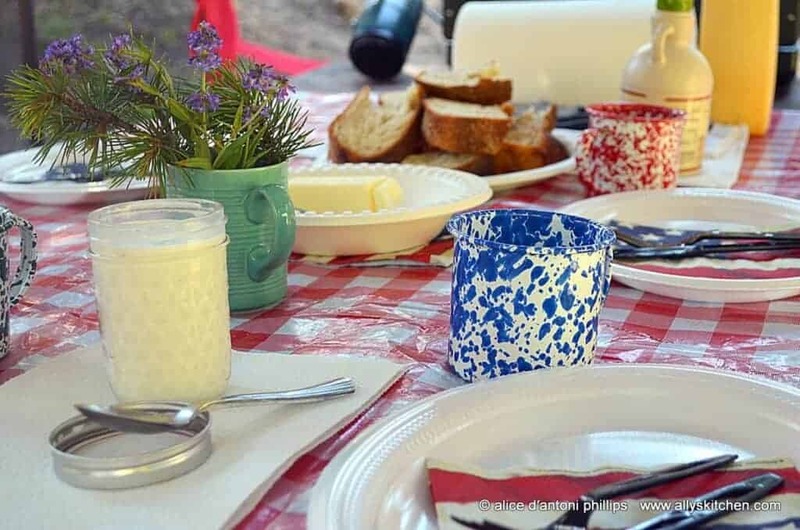 From setting the picnic table with fine plastic ware to having a centerpiece of evergreen and wildflowers. This is nature to table dining at its best. You talk, you laugh, you share and everyone sits around the table. Big rocks and fallen trees become your favorite dining spot~~no need for reservations~~Mother Nature has plenty of seats! You take long walks and just talk. No traffic, no noises, no people, no crowds. Nothing but the sounds of nature. Talk about no stress. 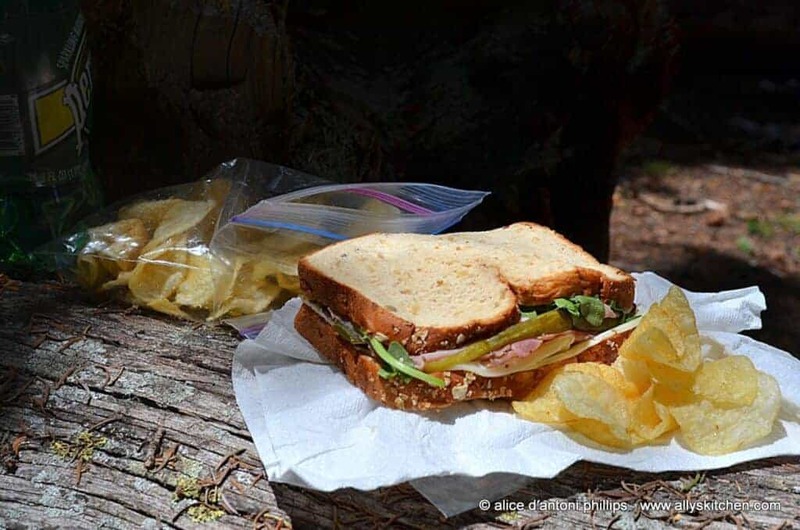 You pack awesome sandwiches for long hikes. No worries about calories because when you hike a few hours you’re burning plenty! 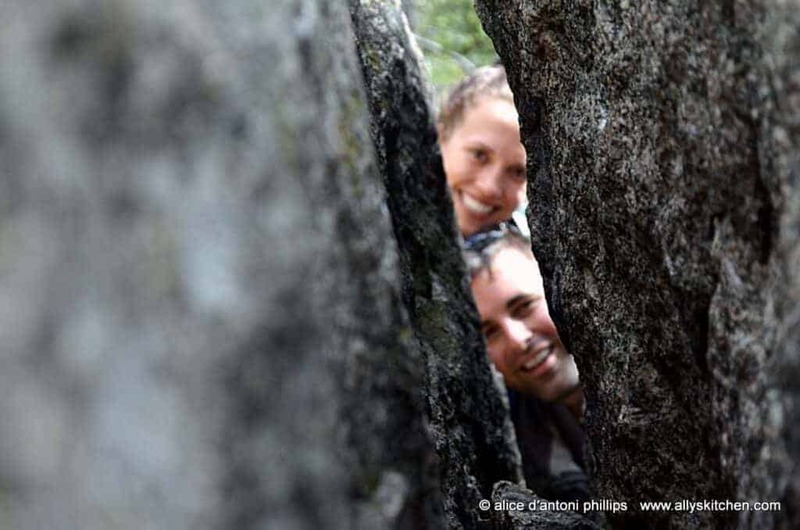 You find fun, silly things to do with Mother Nature’s toys~~like peering through the cracks of two big boulders and having your photo taken! You take time to think and ponder. That’s because you have plenty of time. What a novelty concept! You find yourself making up games to play around the campfire, like this one called ‘Did you Know?’ Boy, did we learn a lot about each other! We were actually doing the old-fashioned thing of talking together without any social media or electronic interruptions! You’ll find your tables everywhere with big rocks, stones, logs or whatever, and your wine goblets. Oh, yes, the best! Your inner kid comes out and you do things that you might have forgotten~~like skipping rocks on water! And, guess what, it’s fun and you love it! Sometimes you might just be able to get one bar and use your cell phone, but best to just turn it off and save your battery because it’s a waste of time! 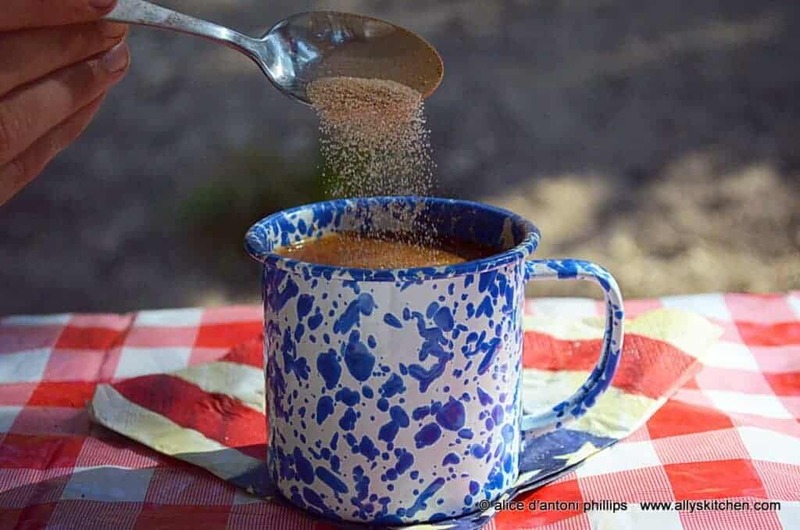 You could very well have THE best cuppah coffee you’ve ever sipped on an early camping morning! Yep, cream and sugar are here, too! Everyone chips in. 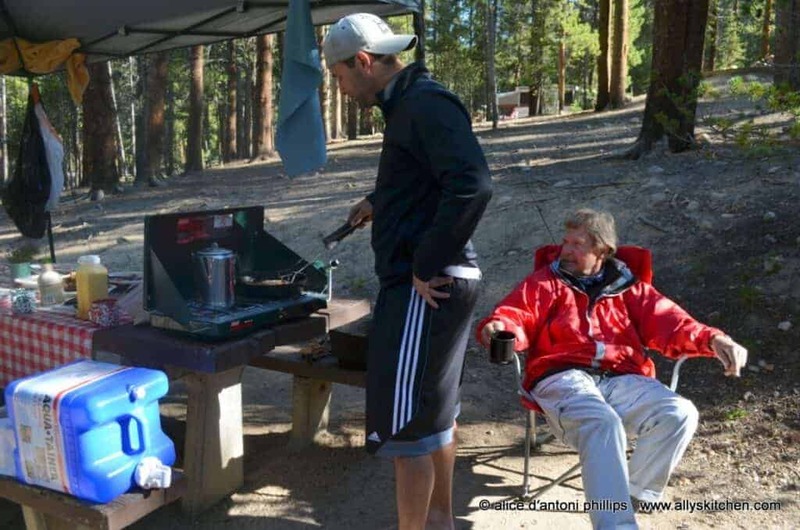 From unloading the car, setting up the campsite, pitching tents to gathering firewood and cooking, it’s a family affair. Whiners not allowed and no one’s a prima donna! You’re all together making magnificent memories that will forever live in your mind’s eye!